Welcome to Saturday and the first weekend post of our 29 day challenge — Day 4: Go to a concert and meet someone involved! If you want to become known in the field, one of the sure-fire ways to do so is to go to more performances and be seen. Tastemakers and gatekeepers rarely come knocking on your door asking for your wonderful opinion. Start small. Do not assume that you are going to go to the next LA Phil performance and that you’ll meet Gustavo Dudamel just because you bought a ticket. I will bet you that there is a performance happening in your area at a smaller venue this very night. Your Day 4 challenge is to go to a concert and meet someone involved. Go use your web 2.0 knowledge and find something that your friends are involved in or that you find truly interesting and go. Here are some ideas to help you start schmoozing. Ask about volunteer opportunities if you want to set up and ongoing relationship with that series or organization. Smile. People will be more interested in talking to you if you look like you’re enjoying the evening. If there is a bar – make friends with the bartender (tipping helps) and find out if she/he has any connection to the performers. Practice making small talk with random people. Start by saying more than please, thank-you, and excuse me to the barista, your doorman, a coworker, the person that has a lesson right after you. 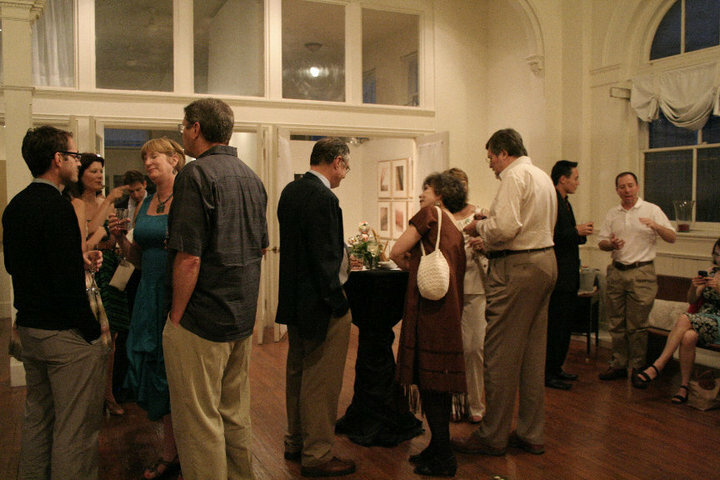 Go with a Meetup group to more classical events. The entire idea behind these groups is to meet new people that share your interests! Having your own sort of “elevator pitch” about yourself as a singer is a good idea. Mention what you’re interested in – if the other attendees are interested in that as well you will be off to a great conversation. Take notes (maybe just mental notes) about the performance and be specific when you tell the musicians what you liked. This can lead to a more fully-developed conversation about the work, the musician, even the whole organization. If you have a friend that is more of a social butterfly than you are – take them as your musical wingman. You can double the number of people you meet and make a better impression. Finally, write about the event later. Perhaps you have your own blog that you could write about the performances. Try to highlight what was successful about the performance, though. You don’t want earn a negative reputation right away. If nothing else, Facebook and tweet (in fact, you should tweet me when you accomplish this challenge @mezzoihnen) about the evening and follow up with those performers and ensembles through social media afterwards. Good luck with your challenge and may you enjoy new music and new friendships!